A total of 14 youngsters came down to participate in the third Youth Ranking of the season which took place on Saturday 20th January 2018. There is a total of 6 ranking events to be played in the season, so this meant that after this event we would be half way in knowing who will finish in those important top 4 places. In this ranking event there were a few changes in the seedings, surprisingly for some Craig Galliano who won the first two ranking events has dropped out of the seedings. 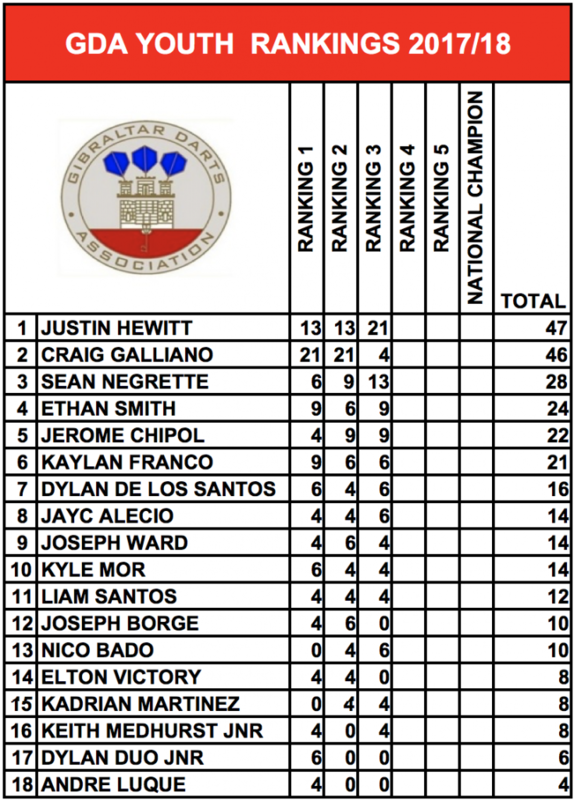 Ethan Smith is now the Number 1 seed, Jerome Chipol #2, Justin Hewitt #3 and Sean Negrette #4. These seedings will stay the same for the remaining ranking events of the season. In the first round there were comfortable 3-0 victories for Jayc Alecio over youngster Kyle Mor and Kaylan Franco against youngster Keith Medhurst Jnr. Other results saw Nico Bado, the youngest player in the academy defeat newcomer Kadrian Martinez 3-1 to record his first ever victory in a ranking event. 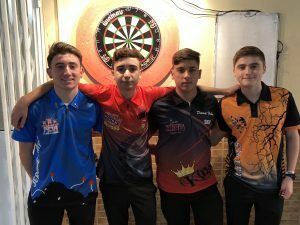 The number three seed Justin Hewitt got the better of a much improved Liam Santos 3-0 and Dylan De Los Santos who only recently got promoted to the First division managed to defeat Joseph Ward in a tight affair 3-2. However, the standout tie of the first round was Sean Negrette against Craig Galliano. Two of the top players faced off in the first round and what a game it was. Craig, who had won the two previous rankings was outscored by Sean in this match and surprisingly he lost the game 3-1 but all the credit goes to Sean for a brilliant performance. In the quarter-finals there were straight forward 3-0 wins for the four seeded players. Ethan Smith defeated Jayc Alecio, Sean Negrette defeated Kaylan Franco, Jerome Chipol defeated Dylan De Los Santos and Justin Hewitt defeated youngster Nico Bado. In the first semi-final game Sean Negrette came up against Ethan Smith. Both players scored consistently throughout the game however Sean was more clinical on his doubles and in the end this is what gave him the advantage in this tie as he won the game 3-1. In the second semi-final Jerome Chipol came up against Justin Hewitt. Both these players faced each other in the previous ranking event and that tie was won by Justin. Once again, Justin’s scoring and crucial double hitting was too much for Jerome to handle, Justin won the game in straight legs 3-0. Justin Hewitt, who already has two final appearances this season against Sean Negrette who was playing in his first final of the season. The final promised to be a great final as both players had put in brilliant performances throughout the day and indeed it was a great final! Sean got off to a brilliant start and took the first two legs of the game in quick time. However, Justin came back with heavy scoring and took the next leg, he also won the following leg with a brilliant 80 checkout to get the game back level 2-2. The next leg Sean managed to crucially hold his throw and retake the lead 3-2. The next leg was crucial for Justin as he was just one leg away from losing a third successive ranking final. He managed to take the next leg with a crucial double 20 and tied the game 3-3. The game went all the way to the last leg and to be fair it was anybodies game, but it was Justin who managed to hit the winning double with his last dart in hand to take the title and win his first ranking event of the season. We would like to thank Gibtelecom for Kindly sponsoring this event! Congratulations to Justin Hewitt and commiserations to Sean Negrette! Ethan Smith x1, Jerome Chipol x1 & Justin Hewitt x1. Below is the updated Ranking List.